American Express was founded in 1850. It was founded as a joint stock corporation by the merger of the express companies owned by Henry Wells, William G. Fargo and John Warren Butterfield. It is also known as Amex and is headquartered in Manhattan, NY. It forms one of the components of Dow Jones Industrial Average. Currently it has $31.6 billion in annual revenue and $153 billion in total assets approximately. The company is represented in logo by a Roman gladiator adapted in 1958. It is one of the top most brands in the world and was ranked 22 by BusinessWeek and Interbrand. There are currently 2 consumer reviews about American Express available. Share your review. I had two fraudulent charges on my american express card. I reported the fraud the minute I noticed it on my transactions. I asked for a replacement card and to have the zero liability protection and the charges to be reversed. I was told I had to wait 8 days for the money to be returned to my card. After two days and over five hours of getting no where with multiple representatives and supposed supervisors from the call center in India I am still waiting for this matter to be resolved. Not to mention they allowed another fraudulent charge to happen after I reported the first two. I am still waiting for the charges to be reversed. My husband is now taking over and talking to them because I am so frustrated I cant take the stupidity any longer. So here we are two days and over five hours of calls and nothing has been corrected. Thanks American Express for that award winning customer service promised. 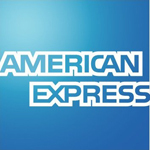 Please take a note that you are about to post a public review about American Express corporate office on CorporateOffice.com. This review will be public, so please do not post any of your personal information on this website. If you would like to contact the corporate offices of American Express, please use their contact information such as their phone number, website, and address listed above to contact them. However, sometimes staff from American Express headquarters do read the reviews on this website.